$99 for the Fox Plumbing Tune-Up Special! Call Us at (206) 767-3311 today! Fox Plumbing & Heating's goal is to help all of friends, neighbors and family in Seattle and King County with plumbing concerns. One of the ways to help all of our neighbors in King County is to provide the best quality service at the most affordable prices possible. We're constantly attempting to educate with our blogs and trying to find ways that will help with the costs of plumbing, heating and cooling services. With every service call, we will offer you upfront pricing that can help take any of the guessing from our costs. And Fox now offers financing to help you to be comfortable confronting those unexpected home costs. Fox Plumbing & Heating does try to ensure that all of our plumbing professionals are trained with the best possible savings for you. But in case they miss anything, you can find all of ours and links to coupons and savings below. These specials can help you save significantly on all your Seattle plumbing needs. The $99 Fox Plumbing Tune-Up Special! Prevent small plumbing issues from becoming emergencies with Fox's 18-point inspection. Save On A New Tankless Water Heater Install! Enjoy the comfort and savings of a tankless water heater in your home. 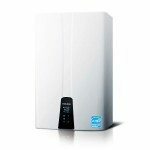 Save up to 40% on your water heating costs, and never run out of hot water again, with the elegant space saving design of a Navien tankless hot water heater system. 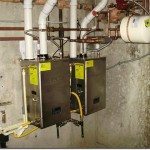 Learn more about the advantages of going tankless. You may qualify to receive a $50 rebate from PSE if you upgrade on qualifying energy-efficient hot water heater. Learn more here. Be a current PSE residential electric customer. Water heater must run on electricity and have both an energy factor (EF) rating of 0.95 or higher and a capacity of 50 gallons. Rebate is only available on new and qualified equipment. Indirect storage water heaters do not qualify for this rebate. Home owners with electric models can get either a $500 or $800 rebate from PSE when you upgrade to a qualifying energy-efficient heat pump water heater. Learn more about PSE's heat pump water heater rebate here. Heat pump water heaters are highly energy-efficient water heating systems that draw heat from the surrounding air and transfer it to a water tank. A heat pump water heater can provide up to twice as much energy efficiency when compared to traditional water heaters.